April 16 – CFAES Recognition Banquet – Tickets now on sale! The 2nd Annual ACEL Spring Recognition Event will be held on Tuesday, April 21. Additional details will be emailed soon! The Lindsay Hill Memorial Basketball Tournament is just around the corner! ACT will once again be hosting the 3-on-3-basketball tournament at the ARC on March 7th at 9 a.m. Teams must consist of at least three people and no more than four. Registration will be $25 a team with a cash prize to the top three teams. All benefits will go to the Lindsay Hill Endowment Fund! If you would like to register, visit www.go.osu.edu/HillBasketball. Additional questions about the event can be directed to hillball3on3@gmail.com or Allison Mangun.11 or Joel Penhorwood.15. New Harvest Urban Farmers Market is looking for a college student to design a logo. The designer of the logo selected to be used will receive a $25 gift card. Additional details and specifications here. Interested in learning how to use Adobe’s Photoshop and InDesign? Want to learn how to use a DSLR and take better photos? ACT has the workshops for you! Join us on Friday, March 6 at either of the workshops. Each workshop is $10. You may attend both if interested (registration required).The workshops will be held in Ag Admin 205 and 207. Persons wishing to nominate an individual who he or she believes is deserving of consideration for induction into the Ohio Agricultural Hall of Fame may download a nomination form by clicking here. Nomination forms, along with three letters of recommendation, must be submitted by March 31, 2015, in order to be eligible for consideration in 2015. Have a sandwich named after you! Sloopy’s Diner in the Ohio Union is now accepting nominations and applications for the 6th Annual Sloopy’s Diner Sandwich Club. Sloopy’s Diner at the Ohio Union Sandwich Club Award is reserved for a group of outstanding individuals and organizations who have dedicated time, talent and energy to better our community. These awards will honor those that embody the spirit of the Ohio Union and truly know what it is to be a Buckeye! All faculty, staff, students, alumni, departments, student organizations, and alumni societies are encouraged to apply and/or nominate by March 8, 2015. For more information, please visit http://go.osu.edu/sandwich and contact Alexandra Lawrence at lawrence.593@osu.edu with questions. We look forward to reading your application! If you love leadership, service, and being in the Ohio Union, then the Annual Conference on Leadership and Civic Engagement is right for you! The 2015 Annual Conference will take place on Saturday, March 7th from 11:00am-5:00pm in the Ohio Union. Workshops and presentations facilitated by engaging speakers will focus on StrengthsQuest, leadership, and civic engagement. Lunch and afternoon refreshments will be provided! Spots are limited, so don’t wait, sign up today! http://go.osu.edu/AC15 Please contact DaVonti’ Haynes (haynes.242@osu.edu) if you have any questions. The Office of Student Life’s Buckeye Leadership Fellows Program in partnership with Leadership Columbus invites OSU Students to its “Leadership Luncheon Series.” Enjoy a complimentary lunch and get to know some outstanding business and community leaders. Space is limited so please sign up early. We limit the audience to encourage meaningful conversation between the students and the speaker. The luncheons are hosted in Sloopy’s Diner in the Ohio Union. This opportunity is open to all undergraduate, graduate and professional students. Reserve your seat today by clicking here. Do you enjoy sharing your passion for Ohio State with others? Would you be willing to show high school students what it is like to be a Buckeye? The “Experience OSU for a Day” (EOFD) Program allows prospective students to get a feel for what college is really like. These students visit CFAES frequently, and we are in need of volunteers to show these students around campus when they come to visit. EOFD Hosts volunteer to have prospective high school students shadow them from 9:30 a.m. until 1 p.m. for 2-3 weekdays each semester. Hosting is very flexible and can be adjusted to fit your schedule. Hosts are encouraged to take their shadow(s) to see various classrooms, the Oval, the Union, a room in Norton House, and to eat lunch at Parker Dairy Store (lunch is free for the host and shadow). To sign up, simply fill out the form at http://go.osu.edu/eofd-hosts. If you have questions, feel free to contact Gary Klopfenstein at klopfenstein.40s@osu.edu. Agriculture is more than just the farm – Producers, scientists, researchers, educators, technicians, processors, distributors, marketers, policy makers and advocates need to work together to ensure that agriculture as a profession, industry and way of life continues to prosper. New professionals need to be trained; new leaders need to be developed. The Ohio Farm Bureau Foundation scholarship programs invite more students from all walks of life to pursue opportunities in agriculture. All scholarship deadlines are February 28, 2015. These two scholarships are available to any farm, ranch or agribusiness woman or her daughter to pursue accredited courses in ag leadership, communications, rural sociology, medicine, or any other courses directly related to agriculture. Application due June 1, 2015. OAC is offering up to six $1,500 scholarships to assist students pursuing agricultural-related studies and to help promote agriculture and agri-business as a growing field of career opportunities. Scholarships are selected based on academic record, leadership qualities, community involvement and responses to application essay questions. Applicants will be reviewed and selected by a committee of individuals who are active members of the Ohio Agricultural Council. The application deadline for the 2015-2016 school year is February 27, 2015. Click here to download the 2015-2016 application. In an effort to recognize outstanding Ohio youth and to help those interested in furthering their education, the Ohio Expositions Commission has established a scholarship program. The purpose of these scholarships is to assist high school juniors and seniors (2014-2015) and graduates who are continuing their education at an accredited institution in an undergraduate course of study in any field. Scholarships will be awarded to junior exhibitors during the Ohio State Fair. Applicants will be judged on scholastic standing, citizenship and leadership, Ohio State Fair participation, county fair participation, and financial need. Additional details and application. Completed applications must be postmarked by June 15, 2015. The Ohio Ag Council is offering up to six $1,500 scholarships to assist students pursuing agricultural-related studies and to help promote agriculture and agri-business as a growing field of career opportunities. Scholarships are selected based on academic record, leadership qualities, community involvement and responses to application essay questions. Applicants will be reviewed and selected by a committee of individuals who are active members of the Ohio Agricultural Council. The application deadline for the 2015-2016 school year is February 27, 2015. Click here to download the 2015-2016 application. Applications are being accepted for college scholarships that are awarded by America’s dairy farmers and dairy importers through the National Dairy Promotion and Research Board (NDB). Nineteen scholarships worth up to $1,500 each will be awarded. In addition, the NDB awards a $2,500 James H. Loper Jr. Scholarship to the outstanding scholarship recipient. Scholarships are awarded based on academic achievement, an interest in a career in a dairy-related discipline, and demonstrated leadership, initiative and integrity. Candidates are expected to complete an application form, submit an official transcript of all college courses, and write a short statement describing their career aspirations, dairy-related activities and work experiences. The application deadline for the 2015-2016 school year is April 17, 2015. Click here to download the 2015-2016 application. Farm Credit Mid-America offers several $1,500 and $1,000 scholarships to customers and children or grandchildren of customers. Any career major is eligible to apply, however preference will be given to students pursuing agricultural related careers. Application available here. Deadline is February 27, 2015. Application Deadline: February 28, 2015 In honor of Dr. Samuel Rosen, Professor Emeritus at The Ohio State University, Civitan will award applicants who are willing to provide ongoing service to their community with special consideration given to those seeking education and service in the following fields: Medical Sciences, Agricultural Sciences, Special Education and/or Dentistry. Applicants must be Ohio residents who are or plan to be enrolled in a degree or certificate program at an accredited four-year college, university or graduate school. No merit requirement; requires community service/volunteering. Click here for more information. This is a friendly reminder that the third competition cycle of the Cargill Global Scholars Program is accepting applications until March 1 at 11:59 PM. Current first and second year undergraduates enrolled at Ohio State University who demonstrate exemplary academic achievement, leadership potential, and are studying in the fields of agriculture, business, computer science, economics, engineering, food science, international relations, political science and public policy are encouraged to apply. To learn more, please visit: www.cargillglobalscholars.com. The Ohio State Engineer Magazine – looking for writers, editors, designers, and photographers for its Spring 2015 issue! OSE is a completely student-run publication since 1918 dedicated to inform of ideas and report events to the College of Engineering community. It is a great way to get involved, to have your work displayed in a legitimate publication, and to gain experience in team working and writing skills! See past work on http://www.go.osu.edu/ose Email Erika at paguirigan.2@osu.edu if interested! On April 21, the Department of Agricultural Communication, Education, and Leadership will host their 2nd annual recognition program. This program will recognize undergraduate scholarship recipients, graduating seniors and graduate students, and other award winners from throughout the department. Student Services Coordinator Emily Wickham will lead the committee. Save the Date for April 21! All ACEL students will be invited to attend from the Columbus campus, ATI and the four regional campuses. Parents are welcome to attend! 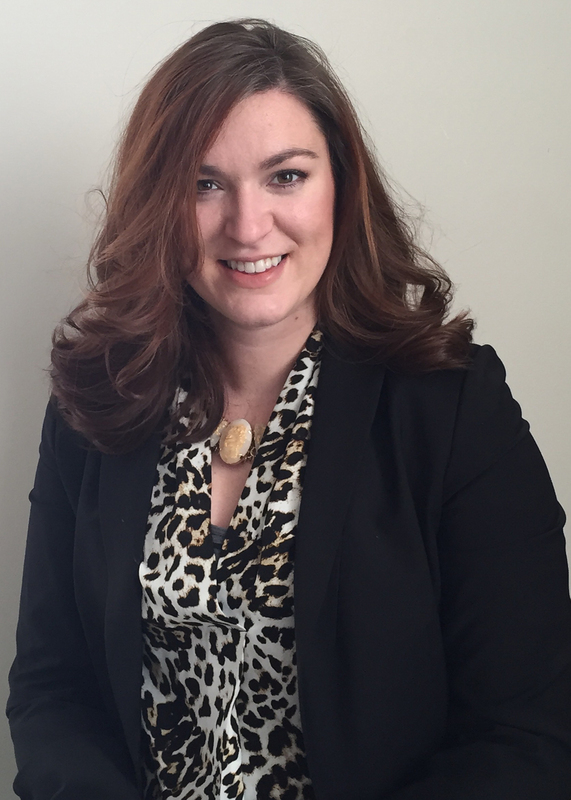 Agricultural Communication, Education, and Leadership alum Whittney Bowers has joined the staff of the Ohio Farm Bureau Federation (OFBF) as Director of Grassroots and Political Outreach. She received her undergraduate degree in agricultural communication in 2010 and completed her master’s degree in public relations and communications at Kent State University. In her new position, Bowers will help members get involved in local, state and federal legislative and political activities. She’ll interact with county Farm Bureaus and individual members, as well as with candidates, elected officials and other organizations who share the goals of Ohio’s farm and food community. She will develop and administer educational and informational tools, organize activities and manage communications including traditional and social media. Bowers also will oversee management aspects of Farm Bureau’s Agriculture for Good Government Political Action Committee. Prior to joining OFBF, Bowers worked in executive communications for the American Jersey Cattle Association and held communications internships with Select Sires and Monsanto. Bowers has been active in the Fairfield County Farm Bureau serving as vice president, secretary and communications action team leader. She served on OFBF’s membership model study group and served as a delegate to the state annual meeting. The 2nd Annual ACEL Spring Recognition Event will be held on Tuesday, April 21. Any ACEL student wishing to be a part of the planning committee should email Emily (wickham.24@osu.edu) to express your interest. Students from all majors are needed on the planning committee! Consolidated Grain and Barge will be on campus from 9am – 5pm. CGB provides an array of services for grain farmers from buying, storing, selling and shipping of the crop, to financing and risk management. Farm Credit Mid-America will be on campus from 11am – 3pm. Farm Credit is an agricultural lending cooperative who is owned and controlled by their customers operating in Indiana, Ohio, Kentucky and Tennessee. Northwestern Mutual will be on campus from 12 – 4pm. Northwestern Mutual is driven to help clients achieve lifelong financial security. Murphy Brown LLC will be on campus from 9am – 4pm. Murphy Brown is a livestock production subsidiary of Smithfield Food, Inc. and is the worlds leading pork producer. Established by the National Agricultural Communicators of Tomorrow (ACT) in 1993 and adopted by AAEA in 2004, AAEA scholarships are awarded to outstanding members of ACT for their achievements in leadership, career-related experiences, academics and service. Applicants must be current members of ACT and enrolled as an undergraduate student at a university or college during the time of their application (applicants may be graduating seniors). Although funded by AAEA and its Professional Improvement Foundation, the scholarship is available to any ACT member, regardless of his/her specific communications career path. Click here for the application. And click here for the reference form. Applications must be postmarked by April 3, 2015. Foundation provides $1,000 scholarships to farm, ranch and agribusiness women or their daughters in two categories: the Jean Ibendahl scholarship to high school graduates age 18-23 and the Sister Thomas More Bertels scholarship to women age 24 and over. Scholarship funds may be used for accredited courses in agricultural leadership, communications, rural sociology, medicine, or other courses directly related to agriculture. http://www.americanagriwomen.org/daughters-american-agriculture Deadline is June 1. NMPF’s Board of Directors offers scholarships each year to qualified graduate students (enrolled in Master’s or Ph.D. programs) who are actively pursuing dairy-related fields of research that are of immediate interest to NMPF member cooperatives. Graduate students pursuing research of direct benefit to milk marketing cooperatives and dairy producers are encouraged to submit an application (applicants do not need to be members of NMPF to qualify). – See more at: http://www.nmpf.org/content/nmpf-national-dairy-leadership-scholarship-program#sthash.2Yzs6blS.dpuf Deadline is March 27, 2015. (Number of awards is dependent on number and quality of applicants). These scholarships are provided to encourage undergraduate sophomores and junior students to pursue careers in marketing of milk or dairy products. Major areas can include: Dairy or Agricultural Marketing, Dairy Product Development, Dairy Quality Control or Testing, Dairy Foods or Nutrition, and Food Product Science. Scholarships are based on leadership, experience, academic ability and interests in Milk Marketing or Dairy Products. Co-sponsored with Dairy Management Inc. These scholarships are provided to encourage undergraduate sophomores and junior students to pursue education or communication careers in dairy or food related industries. Major areas can include: Education, Social Media & Communications, Public Relations, Marketing, Food Science, Nutrition (Human), and Journalism. Scholarships are based on leadership, experience, academic ability and interests in education or communications. Co-sponsored with Dairy Management Inc. This scholarship is available to current freshman students at a four year college who are majoring in a dairy/animal industry related field with interest in working in the dairy industry in the future. Scholarship is based on leadership abilities, volunteerism, activities and plans for the future. This scholarship sponsored by the Maurice E. Core Scholarship fund, a fund created by donations from the Friends of Maurice E. Core, longtime leader in the Jersey breed and National Dairy Shrine. National Dairy Shrine/ McCULLOUGH SCHOLARSHIPS (1st-$2,500 & 2nd-$1,500). Each year, several $1,000 scholarships are awarded to Farmers Union members enrolled in a two- or four-year college or university. Click here to view scholarship application.- See more at: http://nfu.org/education/scholarships#sthash.QeIPu9a9.dpuf. Deadline April 15. Congratulations to the students in the Department of Agricultural Communication, Education, and Leadership who were named to the Dean’s List for the 2014 Autumn Semester. The students with an asterisk(*) beside their name received a 4.0. The 2nd Annual ACEL Spring Recognition Event will be held on Tuesday, April 21. Additional details to follow. Any ACEL student wishing to be a part of the planning committee should email Emily (wickham.24@osu.edu) to express your interest. Students from all majors are needed on the planning committee! April 21 – ACEL Spring Recognition Event SAVE THE DATE! CFAES Recognition Program Applications deadline extended!! Applications are now available for individual and student organization awards. Please visit here for applications and instructions. Awards include: Internship Award, New Activity Award, Outstanding First Year Student Scholarship, Outstanding Service to Students, Outstanding Student Employee, Outstanding Student Organization, outstanding Undergraduate Academic Mentor, Ray Miller council Scholarship. Award applications are due February 6, 2015. Proposals for the CFAES Undergraduate Research Forum and the Denman Undergraduate Research Forum are due on February 6, 2015. These events are on February 19 and March 21, respectively. For more information on the CFAES Undergraduate Research Forum. For information on the Denman Undergraduate Research Forum. Professional Development Night will be held on Monday, February 16 with doors opening at 4:30PM in the Performance Hall of the Ohio Union. Tickets are $5 and must be purchased from your student organization, Ag Admin room 100, or Kottman room 210. Dress is business casual or professional. Come join us for free food and a fashion show to learn what to wear to be professional. Interested in modeling in the fashion show? Contact your Student Council Representative for more info. Was your car towed by Shamrock or Camcar towing companies between 9/1/2008 and 7/17/2014? On Wednesday, February 18th, Collegiate Young Farmers invite you to attend Farm to Fork Table Talks! Doors will open at 5:30p.m. The event will be 6p.m. to 8p.m. In the Performance Hall of the Ohio Union. This year we will have panel of professionals on topics of food, water and animal welfare. The evening is for all OSU students from all majors and backgrounds who want to come together and learn and discuss agriculture and food production. The event is FREE and comes with dinner! Please register by February 11 at http://goo.gl/forms/J0XyXbJxiG For additional information, please contact Steven Parker at parker.831@osu.edu. If you’re completed an internship or studied abroad during the break, consider writing a short post on your experience for the ACEL blog. There is a quick and easy form to fill out: http://acel.osu.edu/node/375#overlay-context=. The posts will be added to the blog during Spring Semester. Please remind your students the Livestock Publications Council is once again offering the Forrest Bassford Student Award. The overall winner receives a $2,000 scholarship, and up to three additional students receive $750 travel scholarships to attend the Ag Media Summit. AMS will be held in Scottsdale, AZ, July 25-29, 2015. The application is due February 17, 2015. Students are eligible to apply if they… Will be a college junior or senior at the start of the 2015-16 college year with at least one semester before graduation. Are a student member of the Livestock Publications Council. Membership is $35 for students. A membership application can be found at http://www.livestockpublications.com/forms.php. Write essays describing the importance of farmer cooperatives, and why he or she is interested in an agricultural career. Applications are available on the internet at www.WinField.com in the News section. All applications must be postmarked by Feb. 2, 2015. Winners will be notified by mail in April 2015. On behalf of The Ohio Agricultural Council, I am pleased to share with you that we are currently accepting scholarship applications to assist students in pursuing their education in agricultural-related areas of study. Completed applications must be received by February 27 for the 2015-16 school year. OAC provides up to three (3) $1,000 scholarships to undergraduate college students from Ohio who are currently pursuing a degree in agriculture. Scholarships are selected based on academic record, leadership qualities, community involvement and responses to application essay questions. More details, as well as the application, are available by clicking here. The Rocky Mountain Elk Foundation is currently accepting applications for our $3,000 Wildlife Leadership Award. Last year we awarded a total of $18,000 to six undergraduate students, and for 2015 we’re seeking another pool of qualified applicants who will be of junior or senior standing in the fall. Our application can also be accessed at: http://www.rmef.org/Conservation/HuntingHeritagePrograms/ConservationAwardsScholarships/WildlifeLeadershipAwards.aspx Deadline is March 1. The GLBT Alumni Society is dedicated to making studying at The Ohio State University a financial reality for more GLBT and students and their allies. Nine scholarships are offered to undergraduate students, including one that is dedicated to a student who will be beginning their education at OSU for the 2015-2016 school year. Additional scholarships exist for GLBT students who plan to study music, who have financial need, who have worked in the HIV and AIDS community, or who are living with HIV. The scholarships range from $1,500 – $2,500 each and will be awarded to students who have demonstrated involvement and dedication to the GLBT community. The scholarship brochure and on-line application can be found on our website at www.scarletandgay.com under the scholarships tab within the student resources page. The application deadline is March 1. If you have any questions, please feel free to contact the Scholarship Chair Brian Orefice at orefice.1@osu.edu. The Agricultural Relations Council (ARC) will award one $1,500 fall semester scholarship (2015-2016 academic year,) to undergraduate college students pursuing a career in agricultural communications such as, but not limited to, working for agribusiness companies, marketing communications agencies, national/state/regional commodity or general farm organizations and other positions that that promote agriculture. Application due March 1. The Turf and Ornamental Communicators Association will award one $2,500 fall semester scholarship (2015-2016 academic year,) to undergraduate college students pursuing a career in green industry communications such as but not limited to careers working for trade publications, newsletters or companies/marketing agencies that promote the golf course, lawn and landscape, sod and nursery/greenhouse, sports turf or maintenance industries. Application deadline is March 2, 2014. Application is attached. In 2014, the National FFA Organization awarded $2.2 million in scholarships designed to fit the diversity of our applicants. Scholarships are sponsored by businesses and individuals through the National FFA Foundation and are given for a wide variety of experiences, career goals and higher education plans. The selection process takes into account the whole student – FFA involvement, work experience, Supervised Agricultural Experience (SAE), community service, leadership skills and academics. More than 1,800 scholarships are available. Click here for details and a list of 2015 sponsors. February 1 deadline. The person selected must complete an “internship” of at least one semester in one phase of the pork and swine industry. The minimum cash award will be $1,200 ($600 prior to the internship and $600 after satisfactory completion of the internship). ELIGIBILITY – Undergraduate and graduate students in The Ohio State University, College of Food, Agricultural, and Environmental Sciences, and the Agricultural Technical Institute (Wooster) are eligible. CRITERIA – The person selected must have an interest in the Pork Industry. Scholarship, financial need and moral character will be considered. Download the application and eligibility requirements here.